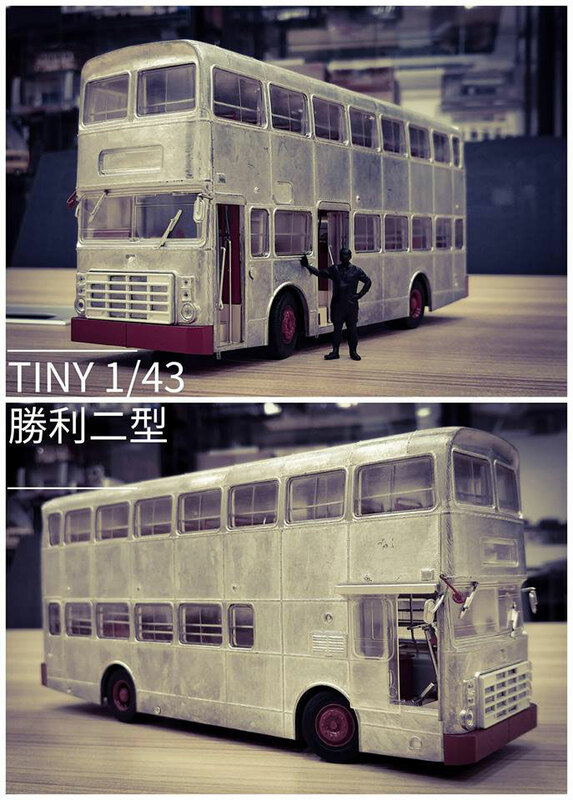 Tiny has unveiled a 1/43 scale Leyland Victory Mk 2 - no further details are presently known. 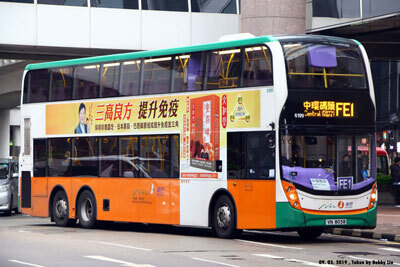 APEC are to release a second Albion Chieftan Recovery truck in Kowloon Motor Bus colours (55902). 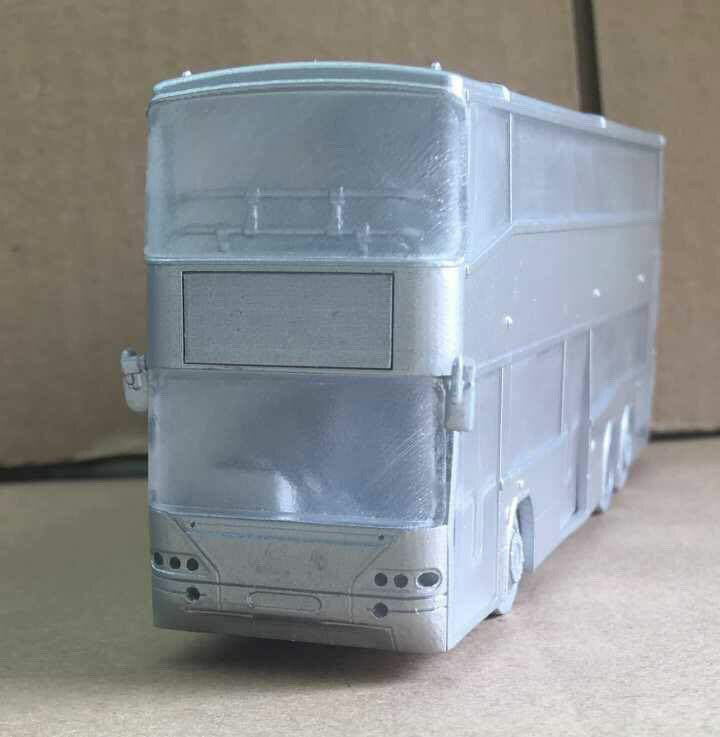 I note that despite news of the first version (55901) being reported back in May 2018, an invividual model page was never created - so work is underway to correct this! 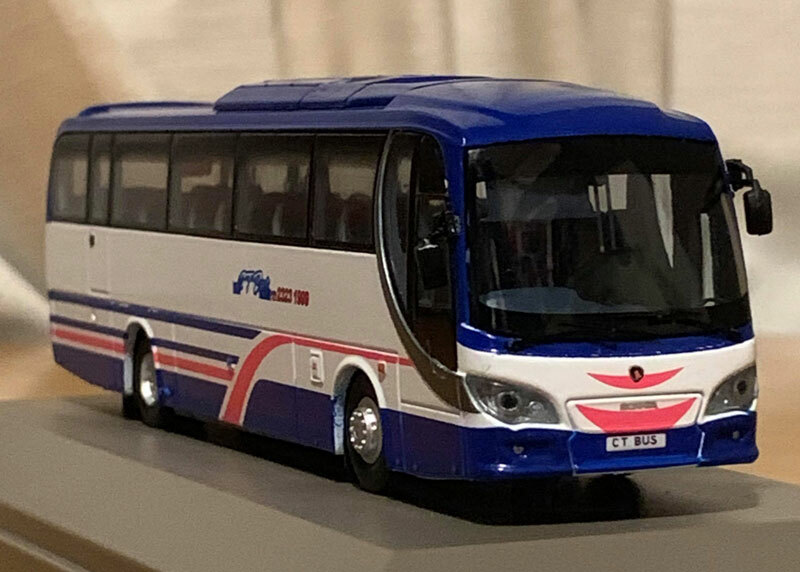 Two further pages have tonight been added to the section of the site, this time for the Wrights Gemini 3 bodied Volvo B8L and the MCV bodied Volvo B8L. A new feature to remind motorists! 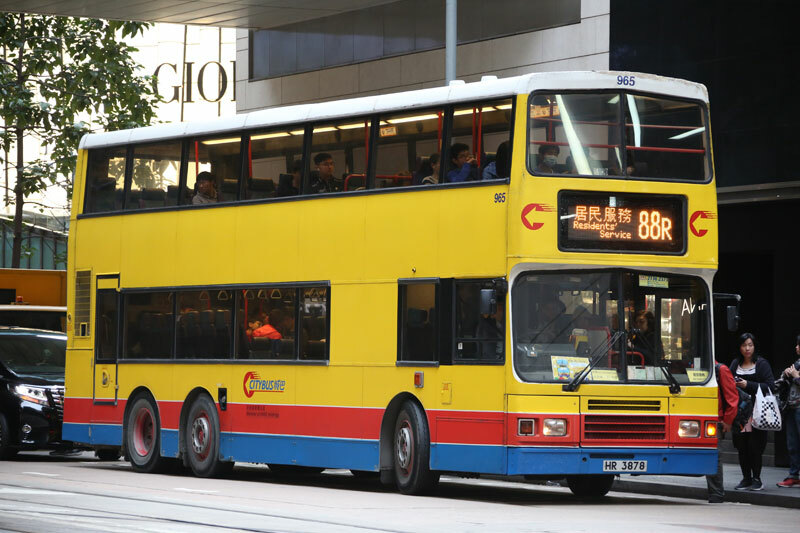 A new page has tonight been added to the section of the site - this featuring the new Kowloon Motor Bus Gemilang bodied Volvo B9TLs operating route 59X. 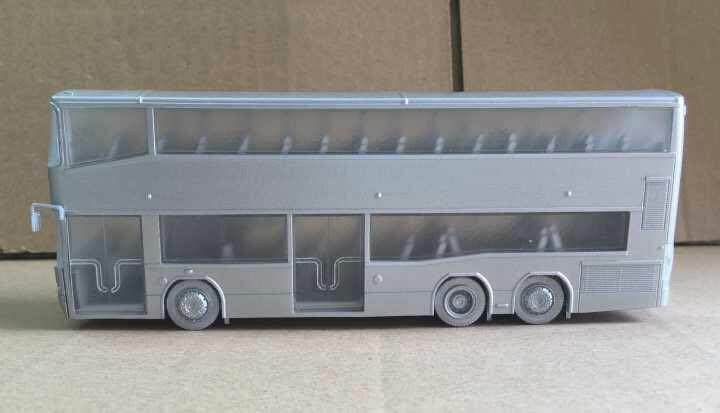 Tomorrow will see a further page added for the new Wrights Gemini 3 bodied Volvo B8Ls. 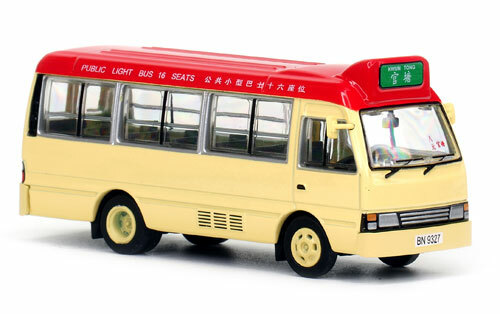 The above two models, from BR Bus Model, were released on 19th March. Both feature ME19 (DF9520) carrying a black 'The Samaritans' livery. The top photograph shows a later version of the livery, and is on route 71K with a destination of Tai Wo - Tai Po Market Circular (BR-011). The bottom photograph shows the bus carrying an earlier livery and this is on route 54 to Sheung Tsuen (BR-012). Whilst each has a limited edition certificate of 388, it is understood only around 180 pieces were actually issued for each version. New pages with additional photographs will be added as soon as time allows. 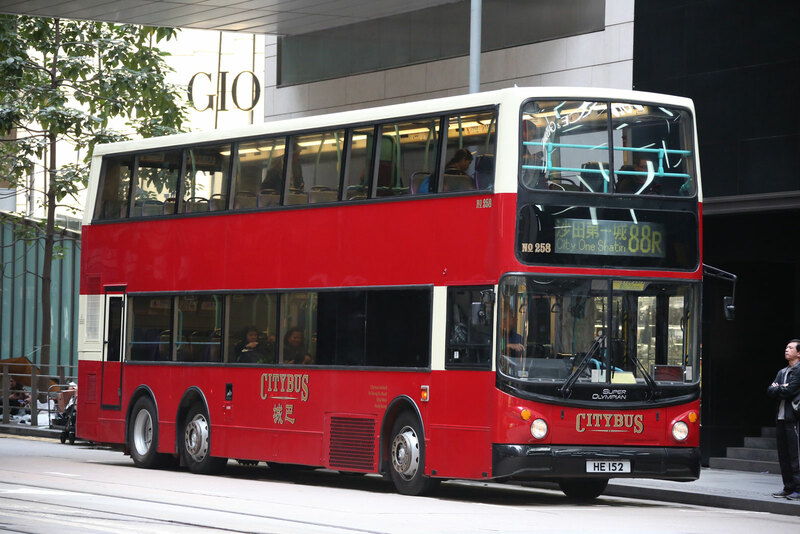 Citybus Volvo Olympian 965 is the last remaining example in service and was noted operating on route 88R on Saturday 23rd March. It expected to be retired very shortly (possibly today!). Kowloon Motor Bus has allocated it's new Wrights Gemini 3 bodied Volvo B8Ls the fleet nos V6Bxx - V6B1 (WA4799), the first of a batch of eight registered to-date, entered service on 22nd March. 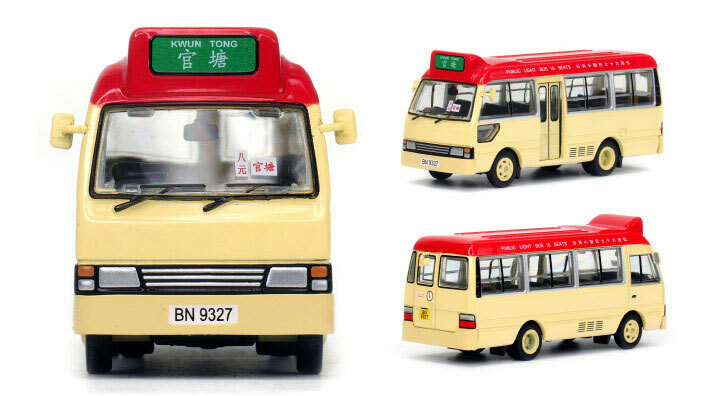 New pages with full sets of photographs have tonight been added for the above three new releases - thanks to 80M Bus Model Shop - just click on an image..
My thanks to WingHim Chiu for sending me a set of photographs of this Gemilang bodied MAN A95 from Model 1 in Gemilang Coachwork livery (63207). 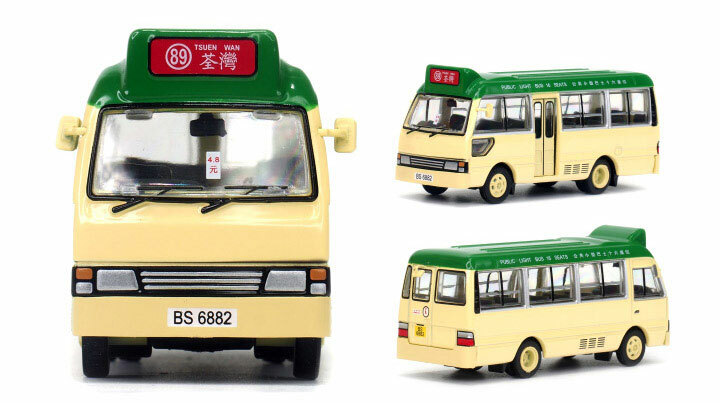 80M Bus Model Shop are now accepting pre-orders for this Kowloon Motor Bus Mercedes-Benz 0305 with all-over advertising for Ma Pak Leung. 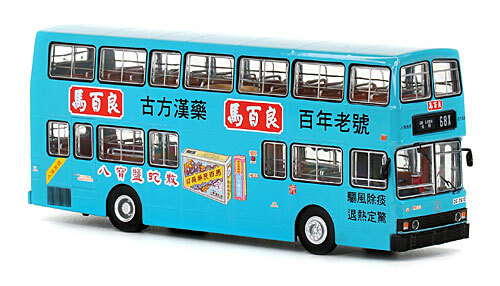 It features ME22 (DG2612) on route 68X to Un Long and will be limited to 400 pieces (CR188003). 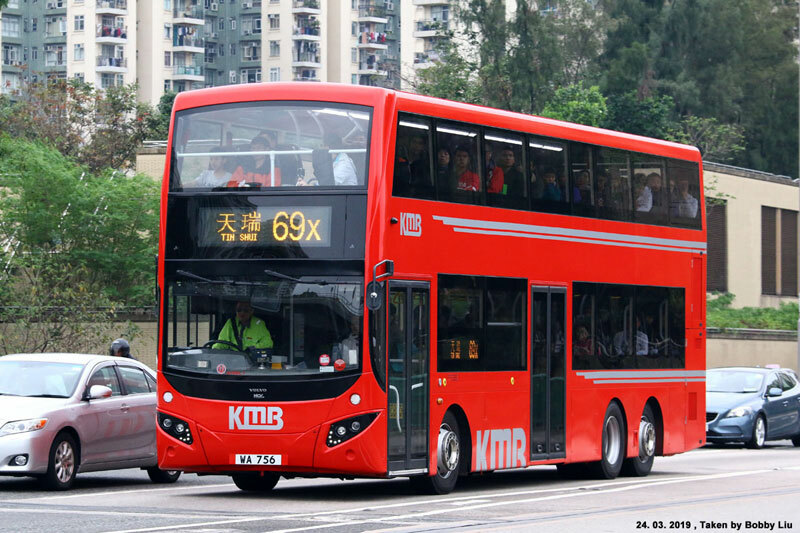 Kowloon Motor Bus registered its first Wrightbus Gemini 3 bodied Volvo B8L today - allocating it fleet number V6B1, it was registered WA4799. 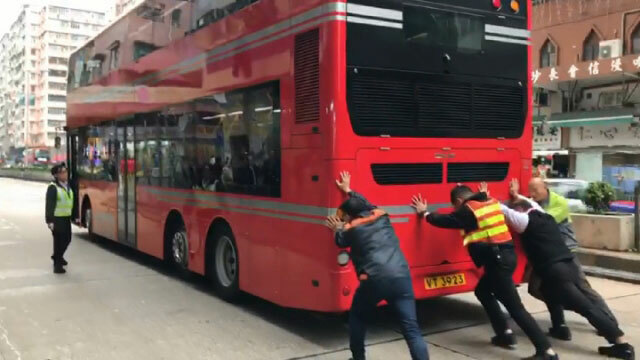 The first day of operation of the new Gemilang bodied Volvo B9TLs doesn't appear to have gone well with AVG2 failing and eventually being recovered. Slightly larger images are available by 'clicking'. 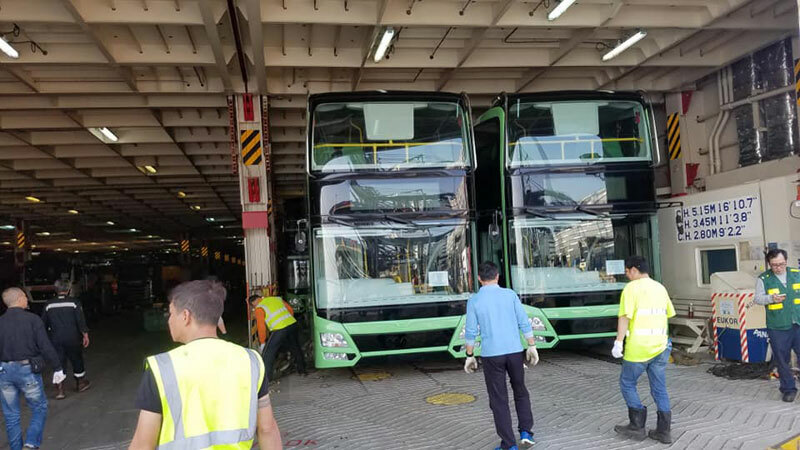 Kowloon Motor Bus is introducing the second stage of its new branding with the launch tomorrow of a trial with these new Gemilang bodied Volvo B9TLs and MAN A95 on route 59X. They are from left to right :- AVG2 (VT3923), AMNF21 (VT3317), AVG3 (VT4112) and AVG1 (VS9188). 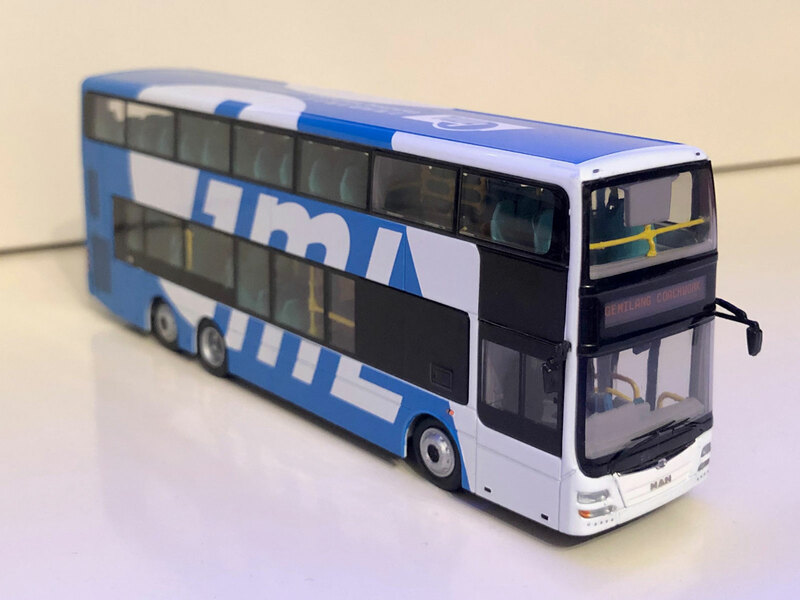 The quantities for the two 11.3 metre New World First Bus Enviro500s announced yesterday have been confirmed as 1,154 for each. 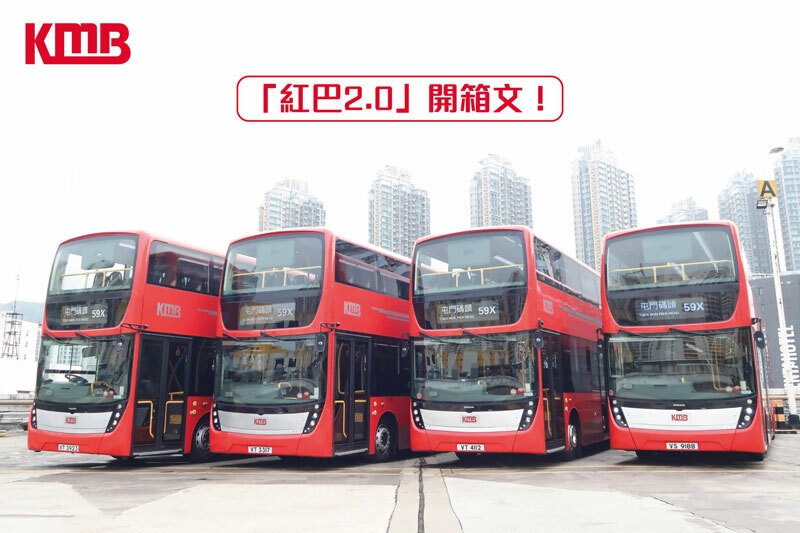 Announced today is the proposed release of two 11.3 metre New World First Bus Enviro500s - fleet no. 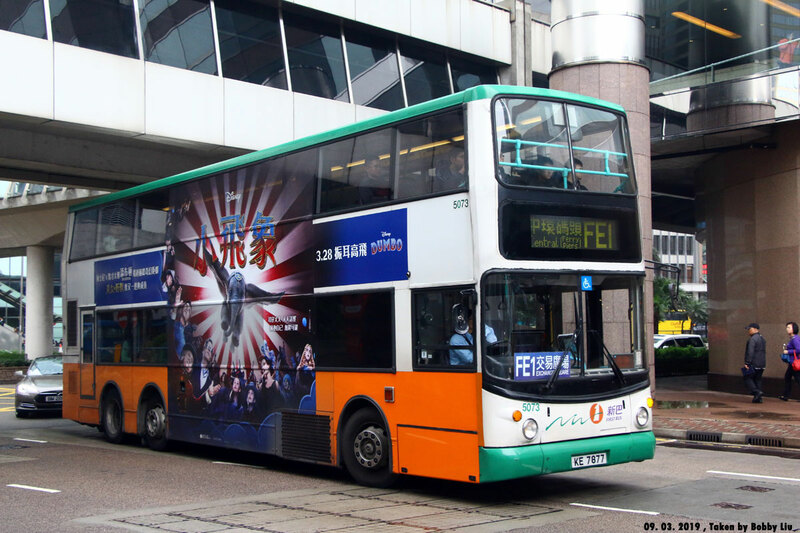 4047 (SK8763) is on route 23 with a destination that reads 'via University of Hong Kong' (63393/20082) whilst 4051 (SM239) is on route 970X to So Uk (63394/20083). 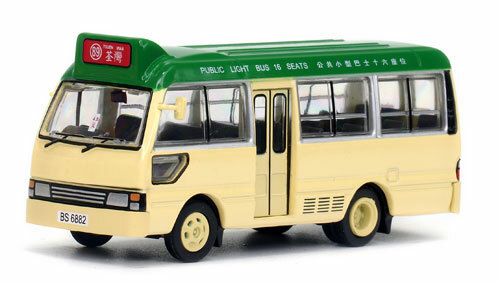 Released in Hong Kong today are these two Toyota Coaster 16-seat Public Light Buses from 80M Bus Model - the red version carries registration BN9327 and has a destination of Kwun Tong (22074) whilst the green version has a registration of BS6882 and is on route 89 with a destination of Tsuen Wan (22075). New pages will be added shortly. 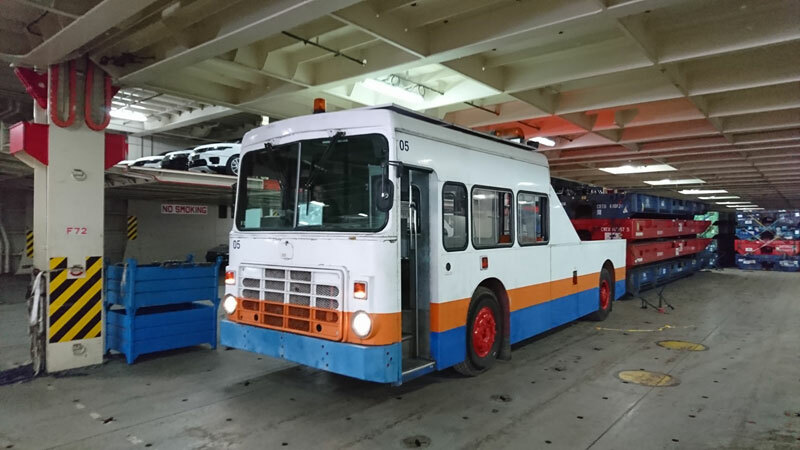 Further arrivals in Hong Kong today, including what looks like an Austin 1100 - my thanks to Man Fai Wong for allowing me to share these photographs. 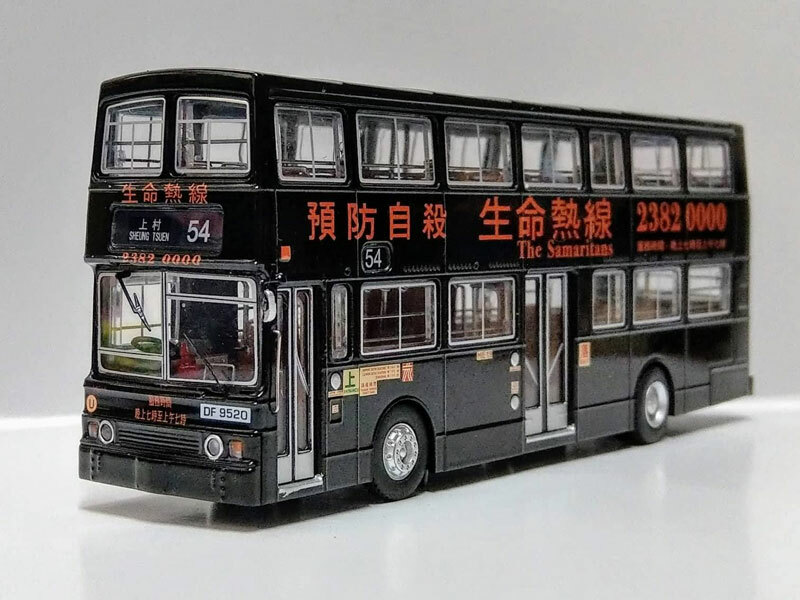 My thanks, once again, to Ray Ng for providing me with a set of photographs for Citybus MAN NL262/R 1546 and to Shun for providing a similar set for 1502. Just click on the above images. The FIA Formula E Championship returned to the the streets of Hong Kong this weekend, resulting in road closures in Central and many bus routes being terminated early. 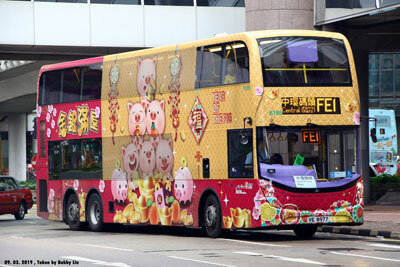 New World First Bus operated a free bus service between Exchange Square and the Central Ferry Piers. My thanks to Bobby Liu for providing the above news and photographs, which are clickable. 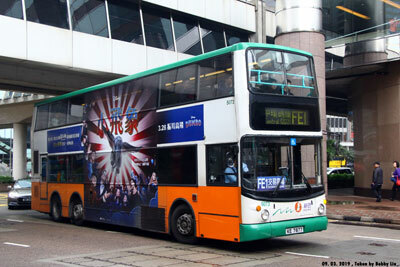 My thanks to Raymond T for sending me photographs of Cityflyer liveried MAN NL262/R no. 1565, which have now added to the appropriate page (63269). 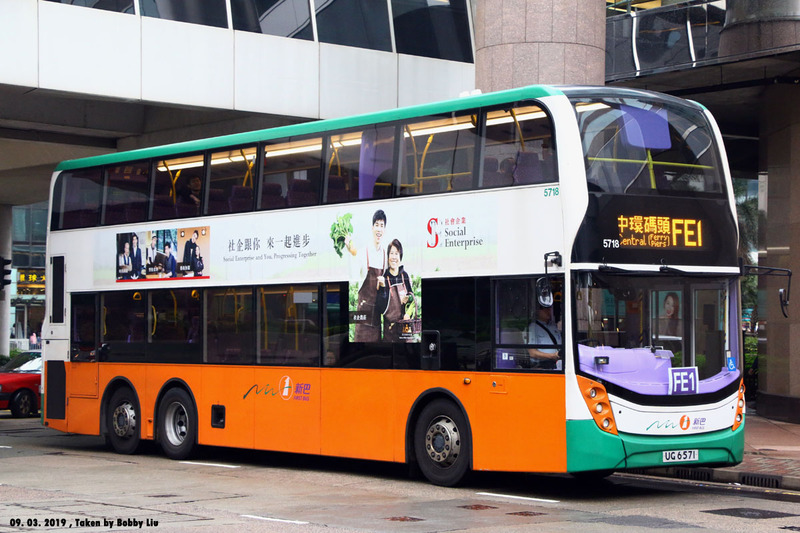 Citybus 258, the 'heritage' liveried ex New World First Bus Volvo Super Olympian entered service today and my thanks to Philip Chan for sending me the above photograph. 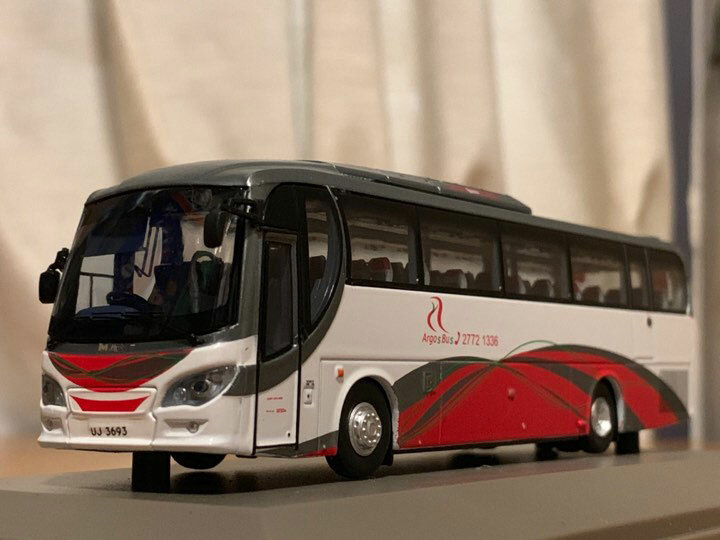 The product codes for two of the three recently commissioned coaches from Model 1 have been corrected - the Argos Bus liveried MAN RR2 is numbered 63901A (changed from 63091) whilst the CT Bus liveried Scania is 63902A (changed from 63092). 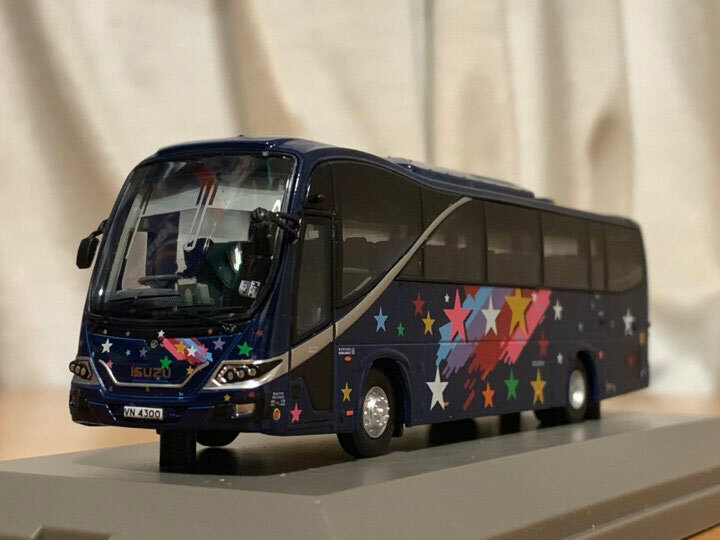 Limited numbers are now being offered for sale on the Network Shuttle website. - for around £78. It remains unclear if any carry limited edition certificates. 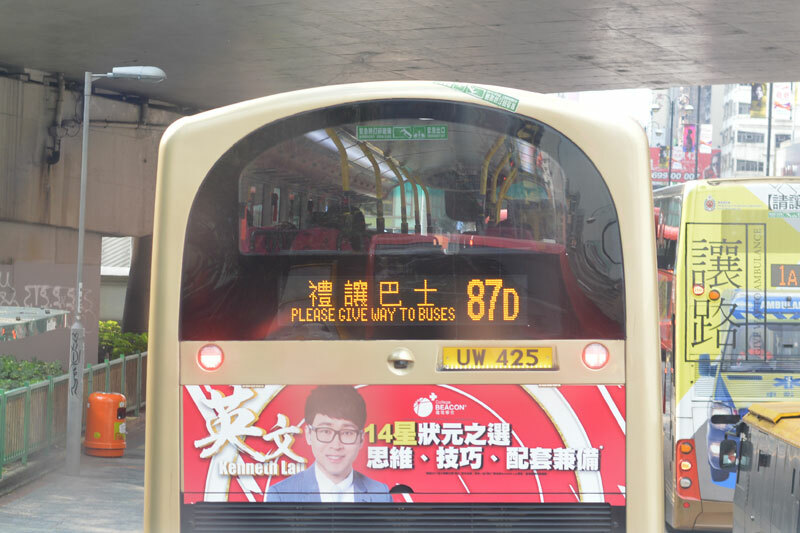 The first bus in Hong Kong to carry a 'W' registration plate is Kowloon Motor Bus MCV bodied Volvo B8L, which according to the excellent Across website, was registered WA756 yesterday - it has been allocated the fleet number AVBML1. 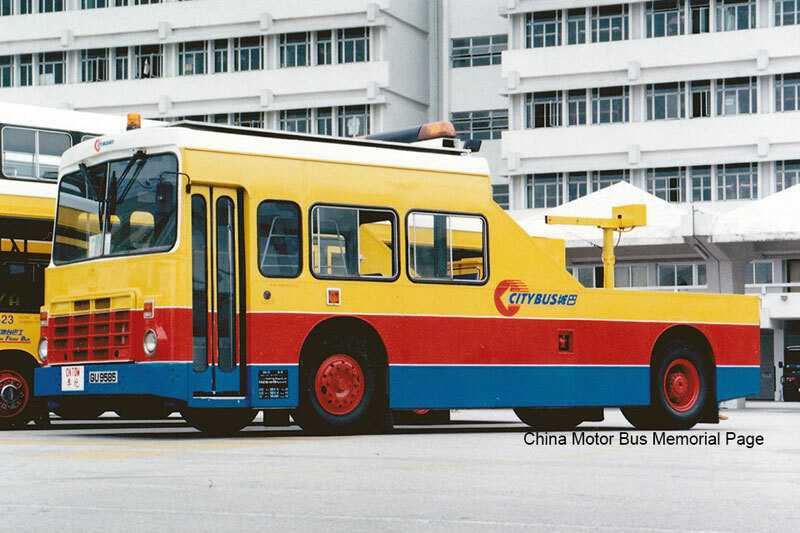 A big 'Thank You' goes to Ray Ng for providing photographs of Citybus MAN NL262 63264, 63265, Discovery Bay Dennis Dart 63124 and New World First Bus Volvo Super Olympian 63661, to Steve Walsh for providing detailed information on the Tiny 1/110 range of buses (and for answering lots of my questions! 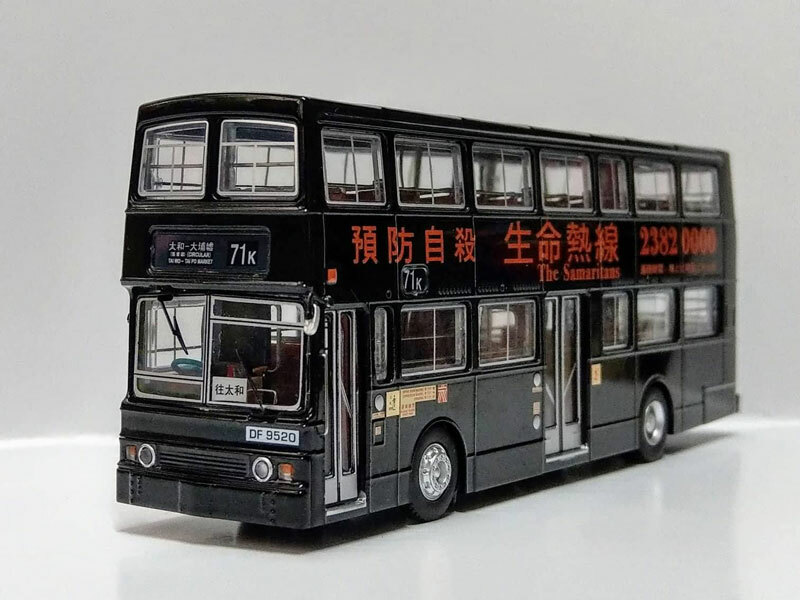 ), to Nixon Lo for providing photographs and details on a couple of the recently released Citybus MAN NL262s and finally to Peter Harrison for keeping me on my toes!! 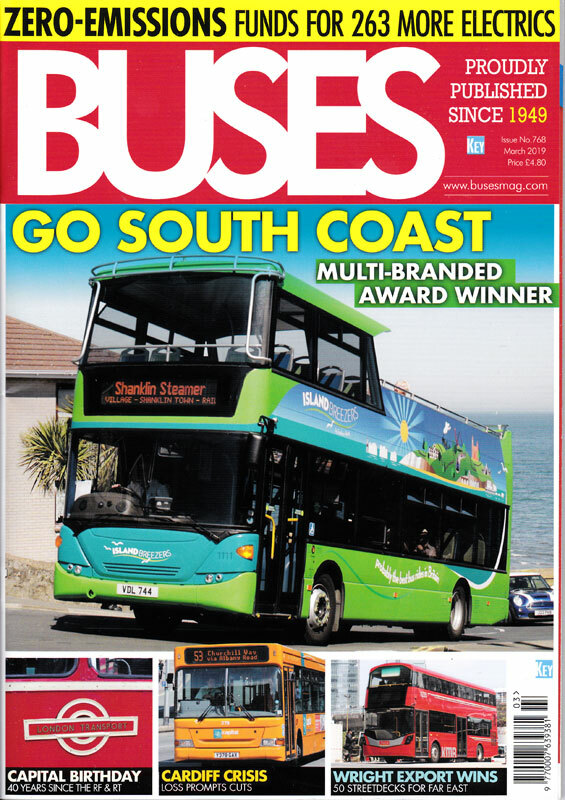 I today purchased the March edition of Buses magazine, which not only contains a four page article on my local bus operator, Go South Coast, but also features three articles by Dave Rogers - one on the retirement of the last Citybus Olympians, one on the bus services operating on the Hong Kong - Zhuhai - Macau bridge and finally one featuring the Sydney Bus Museum's Australia Day running day. 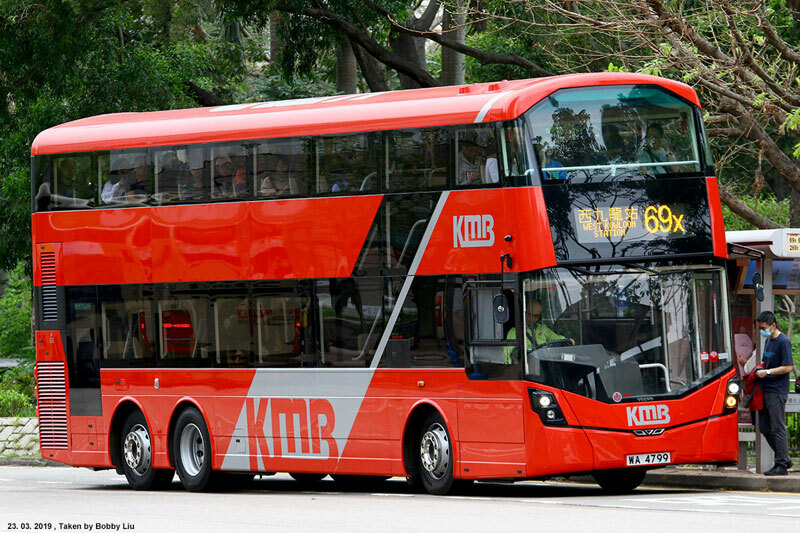 This is in addition to a feature giving details of the recent Wrightbus order from Kowloon Motor Bus. 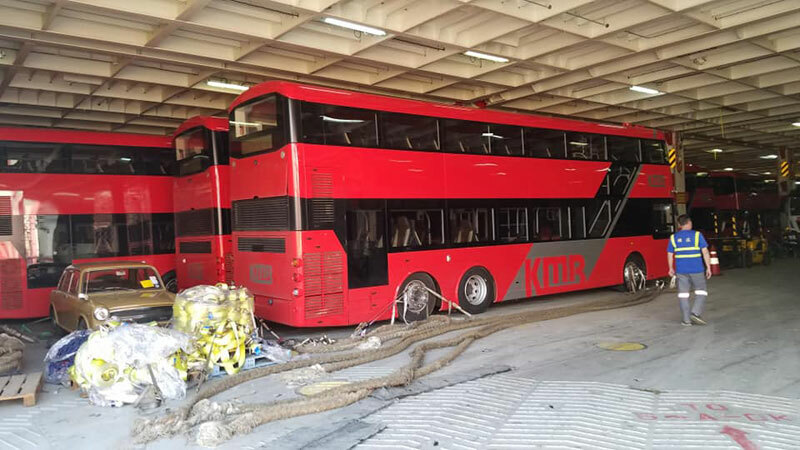 Sadly two people died and 16 people were injured earlier today in Hong Kong when a Citybus 'facelift' Enviro500 on route 967 crashed into the back of a stationary lorry which had broken down on the West Kowloon Highway. 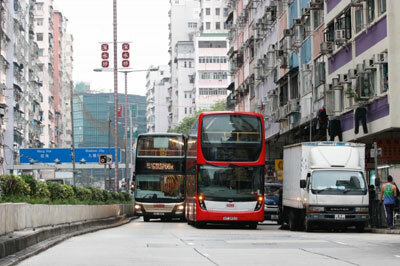 The drivers of the bus and lorry were killed and the injured were passengers on the bus. I would like to offer my sincere condolences to the family, friends and colleagues of the two drivers and wish a speedy recovery to those injured. 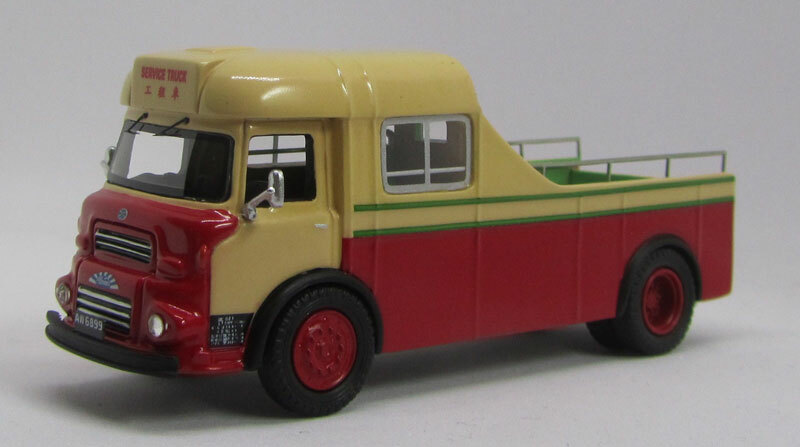 I am still playing catch up following the recent spate of new releases and tonight new pages have been added for the five Model 1 Citybus MAN NL262s released earlier this week. 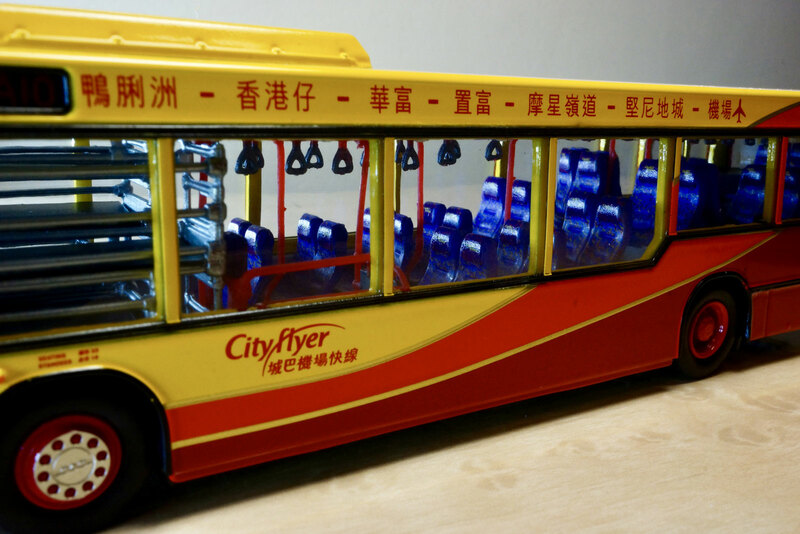 Images would be welcome along with confirmation as to the certificate details for the three Cityflyer liveried examples. Tonight's update sees the number of pages, files and images that make up the site pass the 40,000 mark! 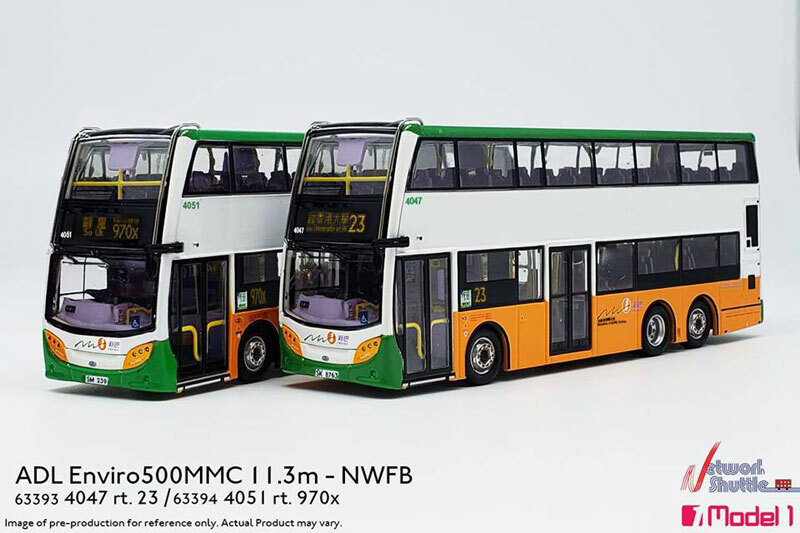 New pages have now been added for the three recent commissioned models from Model 1 - they are, from left to right, Argos Bus liveried MAN (63901A), CT Bus liveried Scania (63902A) and Hang Po liveried Jitluen bodied Isuzu (63933). 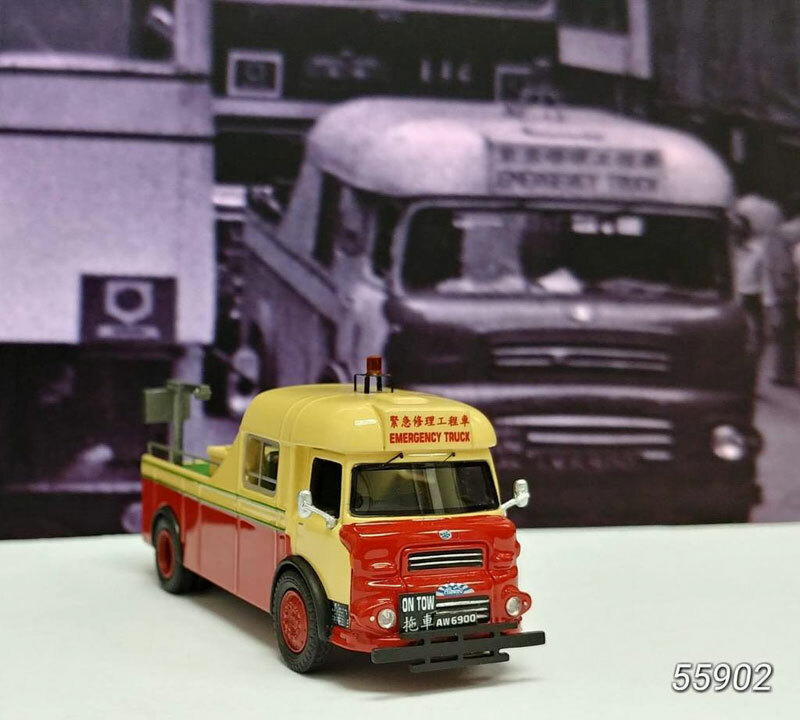 Further information and photographs of former Citybus tow car no. 05 (GU 9585) have just been added to the section of the site.